The RepRap wiki was spammed this week. Everything is fine now, but I feel I should call attention to the fact that the RepRap wiki needs some people to contribute, organize, and maintain everything. The wikis for obscure anime shows are better than the RepRap wiki, so if you’re looking to contribute to an important open source project, there ‘ya go. The 200cc, 5.5HP, 4-stroke OHV Honda GX200 engine is found in a whole lot of tools, and is a fantastic power plant to build a go-kart around. It also costs about $350. There are clones of this engine available direct from China for about $100. Here’s how you add a turbo to one of these clone engines. Freescale makes some pretty cool sensors and [Juan Ignacio Cerrudo] figured they needed breakout boards. He has some boards for a low-power three-axis accelerometer, an accelerometer and magnetometer, and a pressure sensor. The Tektronix TDS744A is an older but still extremely capable 500MHz, 2Gsps, 4-channel scope. You can upgrade it to the 1GHz TDS784A by desoldering a few resistors. Very cool if you’re looking for a cheap-ish 1GHz scope. [TheBackyardScientist] hung out with some cub scouts a few weekends ago and launched a high altitude balloon over Florida. The payload included a game camera, APRS tracker, GoPro, and a few other bits and bobs. The balloon reached 106,000 feet and landed only a few miles from Cape Canaveral. Big RC planes – UAVs especially – are a pain to launch. Flying wings above a certain size are just dangerous to launch by hand, and landing gear is heavy and for the most part unnecessary. What’s the next best solution? A trebuchet, of course. It mounts on a car and is able to give a UAV a little bit of altitude and some speed. A pretty good idea that could be easily implemented with some load-bearing PVC pipe. Everybody likes the Game of Life, so here’s one built with a 6502. It’s built around a Western Design Center 65c816 board we’ve seen before, nine MAX7219 LED controllers mapped to the VIA, and nine 8×8 LED matrix displays. Here’s a video of it in action. 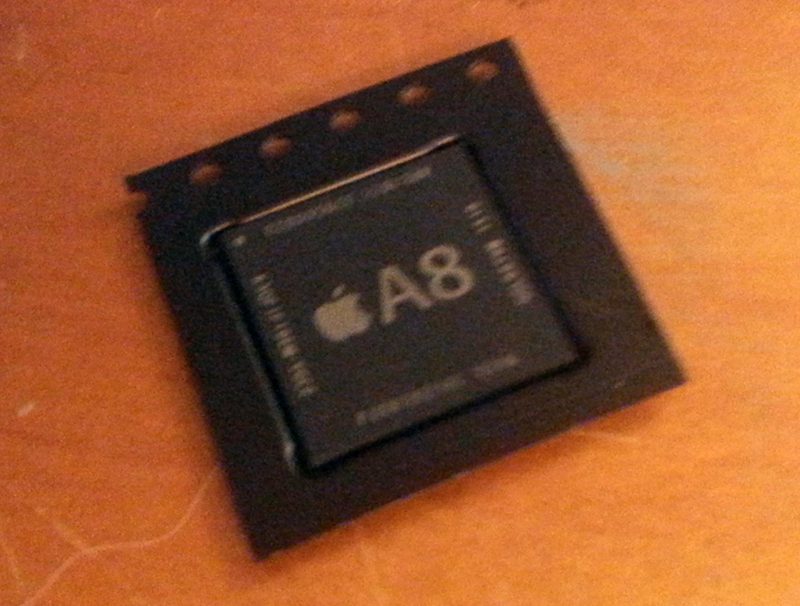 About a month ago, a search of AliExpress turned up Apple’s A8 CPU. I bought one. Here’s what I got. It’s a stupidly small pitch BGA, and I don’t have a datasheet. What am I going to do with it? Make a non-functioning board with a few ports, resistors, no traces, and the A8 chip planted square in the middle. Gonna make a prank iDuino? Add a watch strap to that A8 and idiots will line up around the corner to buy it. About a year ago I decided to look into building a RepRap. After looking at their website for about an hour I changed my mind and never looked back lol. Not only is the content sloppy, all the different design versions and branches of machines show a community in disarray. Their philosophy is choice choice choice, Nothing wrong with that. But if you just want to build a machine, pickup an I3 kit from anywhere. The best guides i found where from people actually trying to sell the printers.The wiki solves the “i don’t know where to start from” and the forum solves the “wtf i’m doing wrong”. Just started to order parts and build a modified delta printer. It’s the first contact with 3d printing, and found the RepRap website very useful for clarifications or when you try to modify an existing design. There are many available designs for mechanics, electronics and software, and this is very good. At the beginning it was a little puzzling, but no signs of disarray. I guess the guy did technically ‘add a turbo to one of these clone engines’ but, in the end he went back to a carburetor, couldn’t get it tuned, and gave up. so maybe someday he will have a good guide at the moment it is more an exercise in spending money… I did however, enjoy reading his build log. Yeah, I read it up to the point where he did a 180 (u-turn) and all I could see was a lot of wasted time and money. You prolly can find unpopulated iphone pcbs on ebay/taobao/aliexpress, At least I did saw them on the markets in Shenzhen. That launcher is great! No need to carry a weight for your trebuchet! On ebay, you can get a 200cc Chinese motorcycle engine with electric start and a 5-speed transmission for $400-500. You can get a 110cc engine with estart, and a 3 speed + reverse transmission for < $300.